Bride & Groom, Bridesmaid and Groomsmaid will be taken from the airport by 4 jeeps to the hotel. A Photographer and videographer will shoots while they are taken from the airport and brought to the Hotel. Then these records will be used to Marriage Story Clip. Welcome Cocktail at Hotel Entrance. welcome ceremony by Traditional Ottoman Military Band show with live music. Venue will be prepared for Mehndi Ceremony. A Special platform will be set for Bride & Groom. Gazebo (Mandap) will set at platform. Place for Bride & Groom will decorated by chiffon and fresh flowers. Two Indian thematic armchair will set for Bride & Groom. Carpets and matresses will lay to ground. A wooden Altar will set at enterance of Venue and decorated with fresh flowers. 10 footed metal stand will set at bridal walk path and flower arrangamnents will set on it. Lanterns and Wooden Accessorieses will be for decoration. Bridal table will set special. Colourfull runners and suplas will lay on it. Accessories, fresh flowers and candle holders will use to decorate. Chairs of Bride & Groom will decorated with special flowers. Round and Long tables will set at venue. Tables and White Lake Chairs will decorate with multicolores satin and 5 dıfferent colores underplates will be set up on the tables. ( orange, green, fuchsia, turquoise, purple color) Same colours satin ribbons with decorated theme will used to bow tie napkins and napkin bracelets will be used. Fresh flower arrangements will be use in centerpiece of tables in accesories. Candles will use to decorrate tables.Also big colourfull matresses will set under trees and coffe tables will set between matresses and fresh flowers will be used in small vases to decorate. Trees at mehendi venue will be decorated with colourfull tulles, and takates flowers. Sound System, DJ mixer, microphone and a professional DJ. You can bring CD with Indian music you’d like to be played with yourself. A professional Hair dresser will come to the Hotel for the Bride (Service for 1,5 hours). Indian henna will be applied to the hands and feet of the bride. We recommend you to bring Indian henna material and a professional henna artist from the own home country. ceremony will be shot by 3 professional photographers. Between 2000 to 2500 photos in JPEG format will be taken. 3 english speaker wedding consultant Managers and 5 assistant hostesses to care with guests. A special altar will set poolside venue enterance and will decorated with fresh flowers and will be brighten with robot lights. 10 footed golden gilding colour glasses will set enterance of bridal walk path and decorated with seasonal flower arrangement will use to decorate. Colourfull led lights will put between flowers. Red and Pink chiffon fabric bowties will use for decorate. 14 small volanos will put between of them. Red carpet will roll on ground and pink rose leafs will pour on it. Aerial video shooting with drone during ceremony. Venue at poolside will set for sangeet. Stage will set at venue and Gazebo- Mandap will set for Bride & Groom. Red, Pink colour tulles, chiffons and fresh flowers will use to decorate stage. Special decorated armchairs, matresses and coffe tables will set. Also a bridal table will set special for bride and groom. Red and pink flower arrangements will set in red vases, red glasses, swarovski stoned suplas and candle holders will use to decoration. Stage will light by robotic colourfull lights. Long and round tables will set. Pink satin table cloths will lay on tables. Big suare mirror will be put on middle of the table and Yellow colour gilding glass vases will put on mirror and decorated with red pink fresh seasonal flowers, Mirror suplas will put under dishes on table. Pearl napkin bracelets will use on Red and Pink roses patterned duni napkins, Red and white glasses will be used and red footed candles will use to decorate tables. Golden colour tiffany chairs will bow tie with red and pink colour ribbons and fresh flowers willput between bow ties. Professional DJ (Indian music). You can bring CD with Indian music you’d like to be played with yourself. A professional Hair dresser will wait at the Hotel If the hair needed to be redone or If the hair needs to be corrected. A professional make-up specialist will wait at the hotel after Mehndi Ceremony, If the makeup needed to be redone or If makeup needs to be corrected. 2 Professional full HD video recorder. The groom will come to the wedding venue on a white horse, accompanied by 6 Drums and DJ van.The relatives of the groom will come to the place,where bride and her relatives will be waiting. Traditional Religious Ceremony A stage will set at venue at Green area Gazebo (Mandap) will set on stage and will decorated with fabrics and fresh takates flowers. 2 seats will be placed for bride & groom. The venue will be decorated with seasonal local fresh flowers. Bistro tables will be prepared and will be decorated with fabrics for guests who will watch the ceremony by standing. Seating arrangement will set with wooden chairs and will decorate with colourfull tulles. Chairs on bridal walk path will decorate with flowers. An Altar will be set up on the entrance and will be decorated with fresh flowers and colourful tulles. 6 columns will set on bridal walkway and colourfull fresh flowers will use for decoration. Carpet will roll on bridal walkway and roses leafs will pour on carpet. 2 white doves will be released by the couple as a symbol for luck. Professional DJ , dj setup ,Sound system and michrophone will set. An Altar will be set up at the bridal walkway. 2 high metal stands with seasonal fresh flowers will be arranged next to altar. Bridal walkway will be decorated with candles and lanterns. Special board with bride & groom's names will be placed one the entrance. 2 gold coloured jardinieres decorated with artificial flowers will be set up under the board. 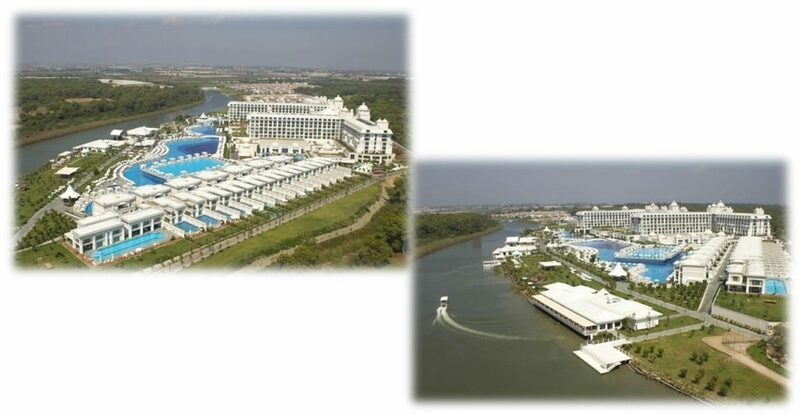 The venue will be prepared for wedding ceremony. Bridal table will be set up on the stage. The Bridal table will be prepared special in colours of couple's dresses. Board will be prepared behind of table with Chiffon drapes. Runners will be laid on it. Table will be decorated with flowers and other accessories. Swarovski stoned under plates will be set up, the napkins will be tied with Swarovski stoned napkins bracelet. Swarovski stoned candles and candle holders also will be set up. Stage will be light up with colourful projectors. Venue will be decorated in the main colour of the bride and groom's dresses. Round and long tables will be decorated with satins. Lace runners will be rolled on tables. Big Glass vases decorated with local seasonal fresh flowers will be put on square mirror in the middle of the table, will be placed on the tables. Under plates and napkin bracelets will be used. Beautiful Candles will be set up. Golden colured Tiffany chairs will be decorated with vibrant coloured tulles. Special glasses will set for Bride & Groom. Special designed 5-layer wedding cake- it will be decorated with imitation flowers and satin bow ties. + 20 volcano fire- works show. Special designed Bridal bouquet and the groom’s collar flower. 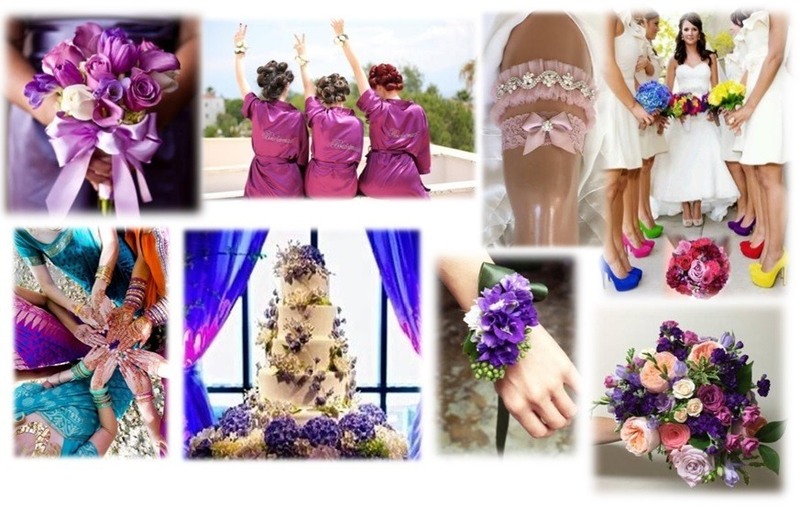 A wristband will be prepared for bridesmaids at the same color of bridal bouquet. Boutonnieres for groomsmen. Special garter with Swarovski stones for bride. Also garters at the same color will be prepared for bridesmaids. At the final of the wedding bride will throw her bouquet to bridesmaids and groom will throw bride's garter to groomsmen. 3 exclusive professional photographers will take 2000 to 2500 pictures in JPEG format. Professional video recording with Jimmy Jip and actual shoulder camera. (A Wedding Story will be prepared. Original videos and photos taking in all ceremonies will be given in the hard disk. A special marriage certificate will be given by our Team as a gift.